I’m going to ride the Wired Magazine wave as long as it will take me. I love that magazine, but don’t feel the need to get a subscription again as long as they’re giving it to me for free. I feel like I am going through such a metamorphosis. There are so many things I have been changing and tweaking over the last year. My thoughts, actions, looks, friends, aspects of my career, interactions with the world… everything, really. The big question is: will I be a beautiful butterfly at the end of it? That’s what I’m hoping! If the sociological correlation is accurate, we should start seeing longer hemlines now that we’re in a recession. And to offset the long skirts, the designers will be featuring short hair with spit curls (think flapper-girl hair) and/or tightly-pulled hairstyles. I have a new hair style. Here’s a photo. 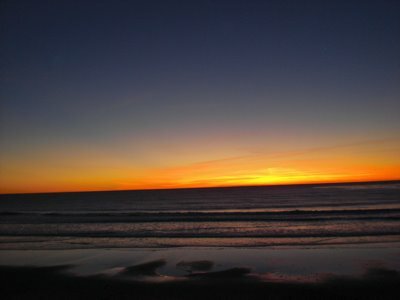 Here’s a sunset photo from a few days back in Del Mar. You are currently browsing the Lura.net Blog archives for February, 2009.